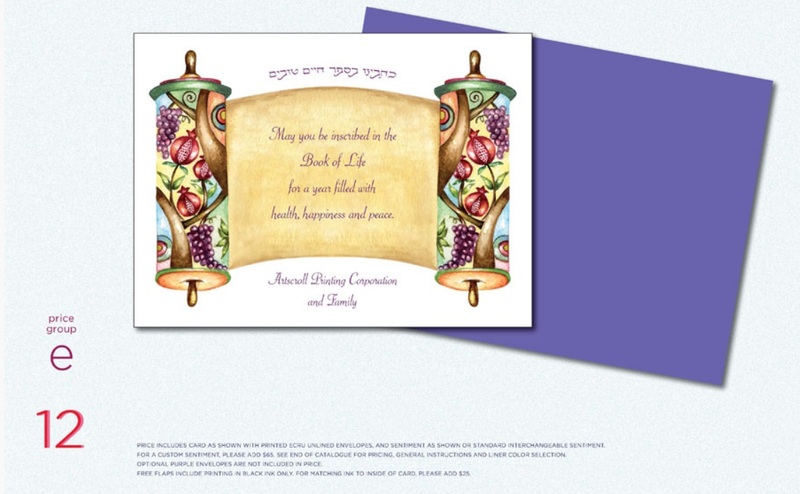 *Please view our Artscroll Rosh Hashanah Cards below (Kindly Scroll Down). 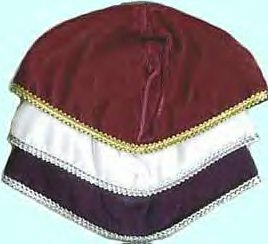 Let us be a part of your Rosh Hashanah Celebration by helping you make your Shopping & Holiday Planning easier with our Judaica Store. Chag Sameach and a Happy New Year. L'Shana Tova Techatevu! **MazalTovPages.com is a high sales level, award winning company dealer in all moderately priced to high end invitations, announcements and stationery. Irene (the President of MazalTovPages.com who created and designed this web site and is its manager) is also a Hebrew and Graphic Design teacher, as well as, highly organized professional with personal attention to every detail, creative graphic & web designer, proof reader and a Hebrew/English typesetter for many well known brand name Invitation/Stationery companies. Each Invitation is designed, custom crafted and handmade especially to set the tone for you and your event. *Printing available in any language (complete camera ready artwork & grammar proof reading may need to be supplied for languages with which we're not familiar). "Best in Announcements & Invitations", click here to view. *Please contact us to inquire about unlisted styles or designs. MazalTovPages.com receives an award of Excellence: "Best in Announcements & Invitations", click here to view larger. WE DO ENGRAVING, CONTACT US FOR DETAILS. **FREE IMPRINTED FLAPS PROMOTION ON ORDERS OF 100 OR MORE! THIS OFFER IS GOOD FOR THE ENTIRE SEASON, **FLAPS WILL BE PRINTED IN BLACK INK ONLY. *FOR MATCHING INK AS IS SHOWN ON CARD, ADD $30.00. Offer expires by midnight October 15, 2015. *Rosh Hashanah 5776 will begin at sundown on Sunday, September 13, 2015 and will last through approximately one hour after sundown on Tuesday, September 15, 2015. 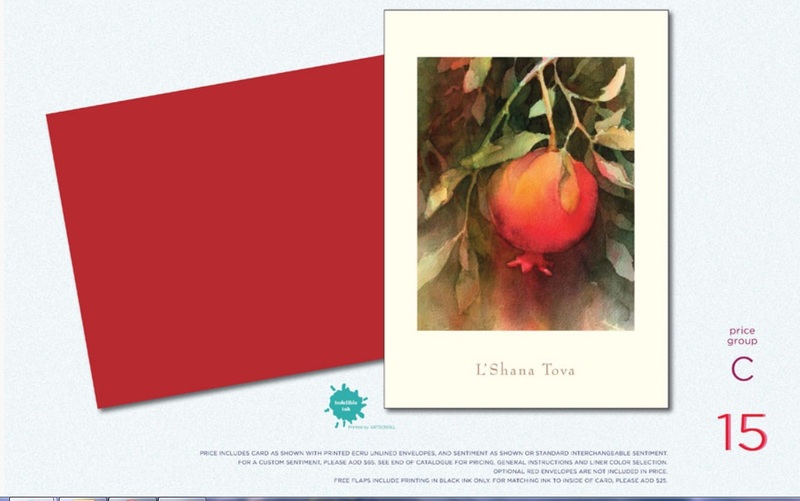 **The following are Artscroll Rosh Hashanah Greeting Cards Collection created by various artists for the 2015/5776 New Year Catalog. 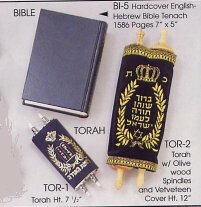 **The following are Artscroll Rosh Hashanah Greeting Cards Collection designed by Indelible Ink. Card Name: "Jerusalem Laser Cut"
This Card Sentiment reads: Hebrew above the English Sentiment: "L'Chaim Tovim U'LShalom", meaning to "To A Good and Peaceful Life". English: "May the New Year bring all the blessings of peace, joy and happiness, and may peace be proclaimed in Jerusalem and all over the world." Sentiment: As shown here or choose your own standard interchangeable sentiment (see below). If you want your own custom sentiment, add $75.00 to pricing and a proof ($18.00) is required. 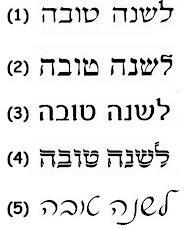 Hebrew Sentiment: You may keep the Hebrew sentiment shown, replace it with a different FREE Hebrew sentiment (see below) or remove it altogether. If you choose to show two Hebrew sentiments, the new sentiment will appear above the existing one and will be printed straight across the top. 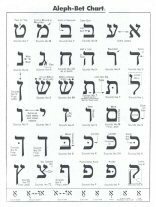 **Custom Hebrew sentiments are available at an additional fee of $35.00. Hebrew sentiments are printed over the English ones. Envelopes: Cool ultra white felt envelopes only. Printing of return address are available for an additional fee. Envelope Liners Recommended: Matching Wine gradient envelope liners are also included for no additional charge. Typestyles Available: For this sentiment, only as shown. If you choose a standard interchangeable sentiment, it will be printed in typestyle shown. For S&H fees & Ordering Policies, please click here. Card Name: "Apple Die Cut"
Description: This unique and cheerful card features a die cut apple with a bold and bright design, your sentiment appears on the inside of the printed circle at the lower right corner of the card. Send your New Year blessings to friends and family with this joyful and stylish greeting card. This Card Sentiment reads: "Wishing you a sweet and happy New Year!" Sentiment: Sentiment for this card is available only as shown. 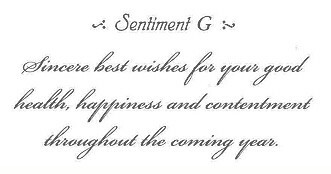 Personalize it with your name(s) on bottom of greeting sentiment, see below (Kindly Scroll Down). 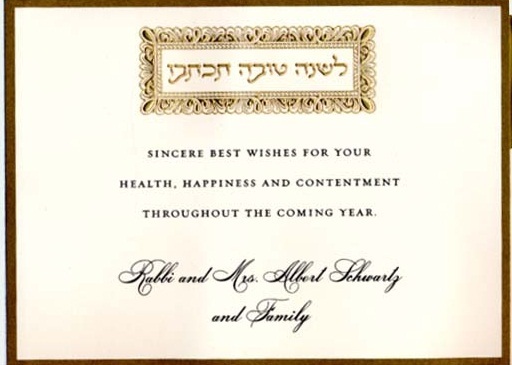 Hebrew Sentiment: *Not available for this card. Ink Color Available for this card: Black and Only as Shown. Envelope Liners Recommended: Red or Yellow (add fee). You can choose from any of the available envelope liners for an additional charge. *Envelope Liner colors available: Red, Yellow, Gold or Aqua. Description: The New Year marks the new beginnings in our life, and in nature. This unique, vibrant and beautifully crafted & hand painted card by artist Ilana Landau depicts budding flowers and blossoming pomegranates on an outstretched branch. Share this beautiful and inspiring scene with everyone you love. 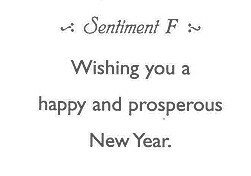 The sentiment reads: "May you be blessed with a Sweet and Fruitful New Year". 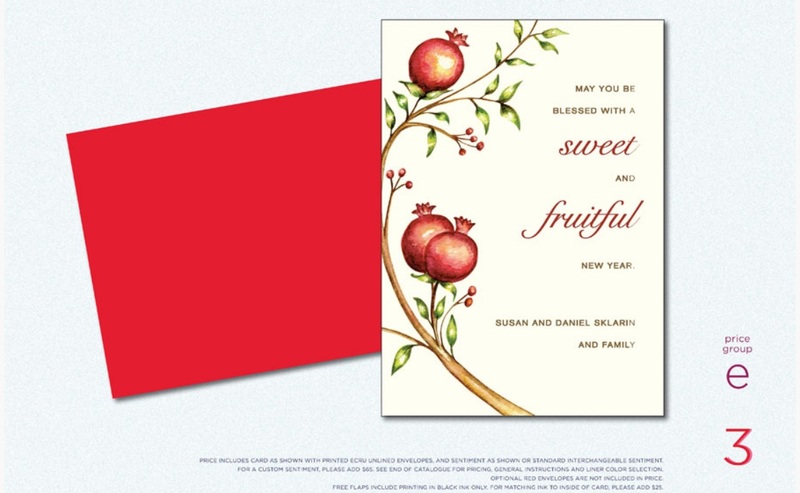 Size: 5" x 7"
This Card Sentiment reads: "May you be blessed with a Sweet and Fruitful New Year". Hebrew Sentiment: You may add a FREE Hebrew sentiment (see below). 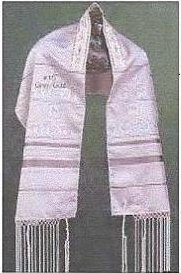 **Custom Hebrew sentiments are available at an additional fee of $35.00. Hebrew sentiments are printed over the English ones. Typestyles Available: The typestyle will be as shown with the sentiment you have chosen. If you choose to do a custom sentiment, we will use the typestyle as shown on the example. 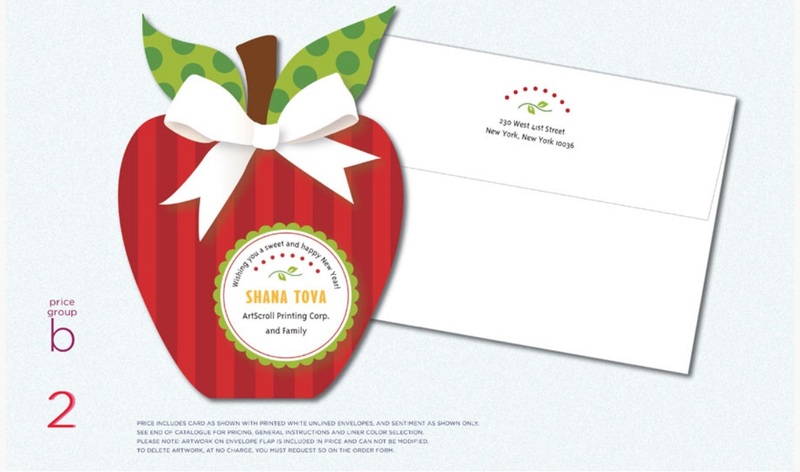 Card Name: "Shana Tova Pop Art"
Envelope Liners Recommended: Gold (add fee). You can choose from any of the available envelope liners for an additional charge. *Envelope Liner colors available: Red, Yellow, Gold or Aqua. 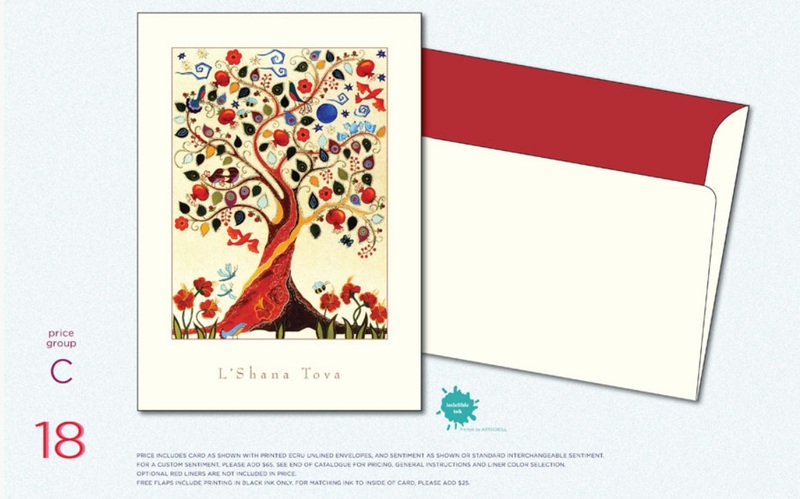 Card Name: "Rosh Hashana Blossoms"
Description: The New Year evokes a feeling of growth and renewal. This card features a beautiful watercolor design of a blossoming floral bouquet. The inscribed blessings ("Laughter, Tranquility, Hope, Success, Peace, Comfort, Love, Happiness") throughout the artwork on the card offer a multitude of warm wishes for the New Year. The elegant and unique design on this card is the perfect way to show/send your hope for a bright and joyous New Year. This Card Sentiment reads: "May the New Year blossom and bring you and your family a multitude of blessings." Sentiment: As shown here or choose your own standard interchangeable sentiment (see below). If you want your own custom sentiment, add $75.00 to pricing and a proof ($18.00) is required. Personalize it with your name(s) on bottom of greeting sentiment, see below (Kindly Scroll Down). Hebrew Sentiment: For FREE Hebrew sentiments (see below). **Custom Hebrew sentiments are available at an additional fee of $35.00. Hebrew sentiments are printed over the English ones. Card Name: "Tree Of Life"
Description: This elegant and classic card features a handpainted watercolor Tree of Life design on an ecru card stock. The delicate leaves and branches evoke a sense of tranquility and renewal for the upcoming New Year. This "Tree of Life" symbolizes the Torah's (which is also known as the Tree of Life) enrichment of our lives if we should follow its teachings. Wish all your loved ones a year of plenty with this joyful card. Size: 7" x 5"
This Card Sentiment reads: "May the Tree of Life blossom and bring to you all the blessings for a Happy and Healthy New Year". 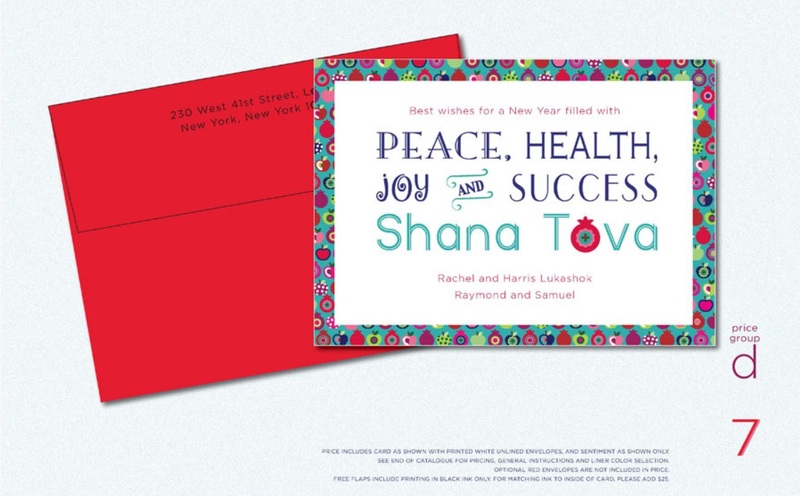 Card Name: "New Year Wishes"
Description: Apples & Pomegranates are traditional Rosh Hashanah symbols. This card features a vivid and colorful holiday pattern surrounding the border of the design. The bold colors and contemporary style are sure to bring your loved ones joy and happiness in the coming New Year. 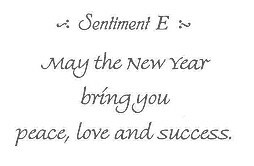 This Card Sentiment reads: "Best wishes for the New Year filled with Peace, Health, Joy and Success. Shana Tova". Description: This classic and formal card is brought back year after year in similar designs, remains immensely popular and a perennial favorite. This year the card features an elegantly intricate gold border on ecru paper. 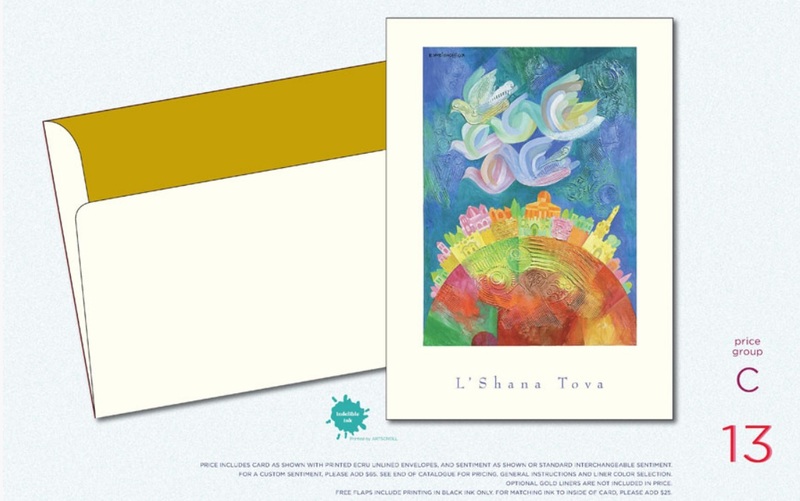 The Hebrew greeting at the top of the card is stamped and embossed in gold foil in a beautiful "carved frame" design and reads: "L'Shana Tova Tichatevu" which means: "May you be inscribed for a good year". 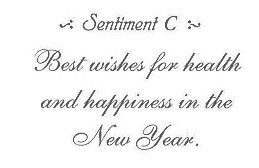 This Card Sentiment reads: "Sincere best wishes for your health, happiness and contentment throughout the coming year." 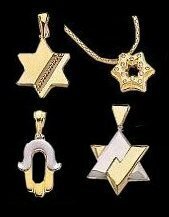 Hebrew Sentiment: Available only as shown in Gold letter embossing. This Hebrew Sentiment comes only as shown and cannot be changed or removed. Envelopes: Ecru with Gold Liner only included in price. Printing of return address and envelope liners also available for an additional fee. Envelope Liners Recommended: Gold (included in price). Typestyles Available: For this sentiment, only as shown above. If you choose a standard interchangeable sentiment, it will be printed as shown. 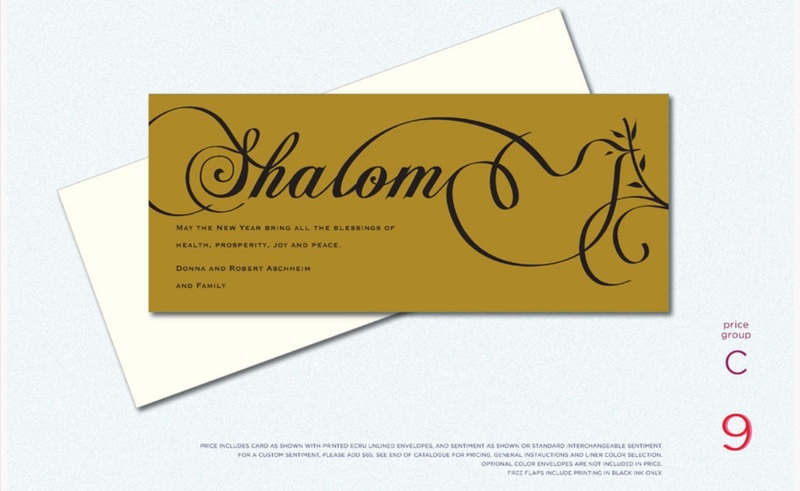 Description: This elegant card features the word "Shalom" transforming into a Dove of Peace holding an Olive Branch in its peak. The artwork is printed in black ink on a beautiful and shimmering gold card stock. The design evokes a sense of peace and hope for the upcoming New Year. 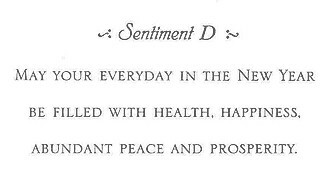 This Card Sentiment reads: "May the New Year bring all the blessings of health, prosperity, joy and peace." 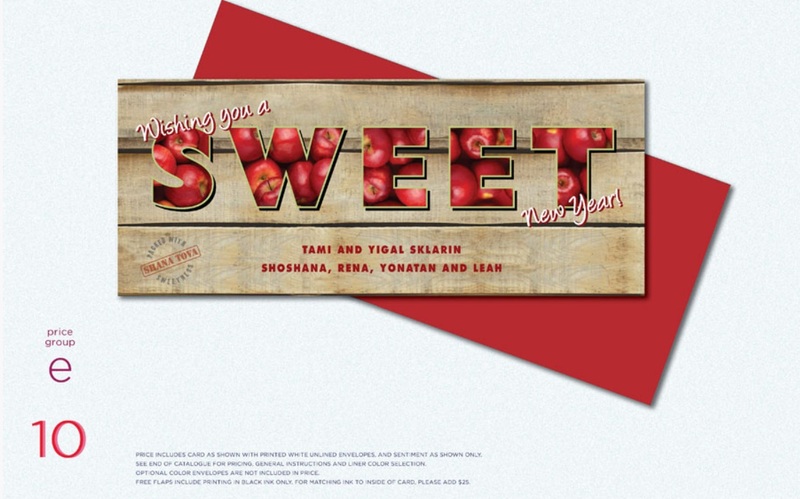 Description: This flat digitally printed card features a graphic of delicious apples inside the word "sweet". Upon eating apples, many recite the phrase "May the Almighty bestow upon us a good and sweet New Year". Let this design mark the beginning of a wonderful New Year for you and your loved ones. What a wonderful way to welcome the New Year by sending this card! The card captions read: "Wishing you a Sweet New Year!" 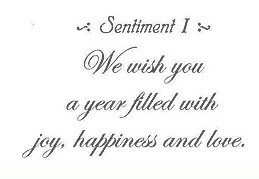 Size: 9" x 4"
This Card Sentiment reads: "Wishing you a Sweet New Year!" Description: During the New Year, we pray for peace in Israel, and throughout the entire world. This hand painted scene of a Jerusalem neighborhood evokes a sense of happiness and joy for the upcoming New Year. The bright and multi-colored buildings depict a peaceful and beautiful scene. Size: 5" x 7"
This Card Sentiment reads: "May the New Year bring you health and joy, and may peace be proclaimed in Jerusalem and all over the world." Ink Color Available for this card: Brown. Description: This vibrant hand drawn design depicts and open Torah with delicate & colorful floral vines entwining and decorating the scrolls. The Hebrew greeting above the artwork reads: "Katvenu B'Sefer Chaim Tovim", meaning "May we be inscribed in the book of Good Life." 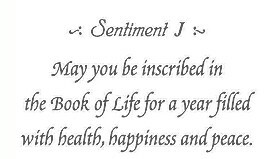 Size: 7" x 5"
This Card Sentiment reads: "May you be inscribed in the Book of Life for a year filled with health, happiness and peace." 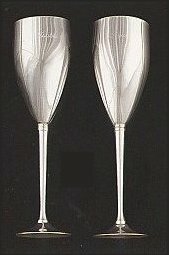 Card Name: "Doves Over Jerusalem"
Description: During the New Year we pray for peace in Israel, and throughout the world. This vibrant artwork by the renowned Israeli artist Eliezer Weishoff, perfectly captures those wishes. His vibrant creation will bring a smile to your family and friends as you wish them a New Year filled with Joy and Peace. 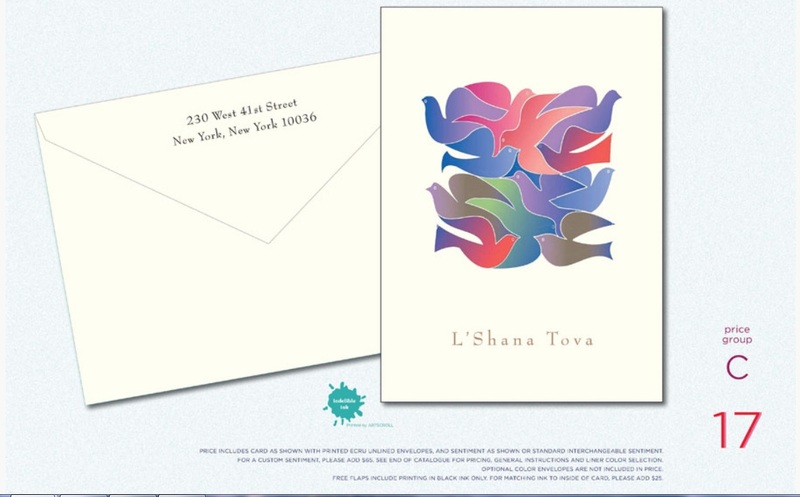 Welcome the New Year with this beautiful and bright design and send your warm Rosh Hashanah wishes to your family and friends with this traditional and symbolic card. 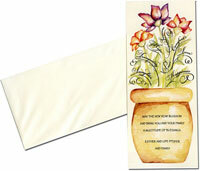 Size: 5" x 7"
This Card Sentiment reads: "May all your days in the New Year be filled with beauty, joy and peace." Card Name: "Paper Cut Shofar"
Description: The Shofar has always been central in helping to usher in the New Year. Here, the artist Michelle Phillips has created a dramatic papercut shofar to celebrate the emotional response elicited by its ancient herald. 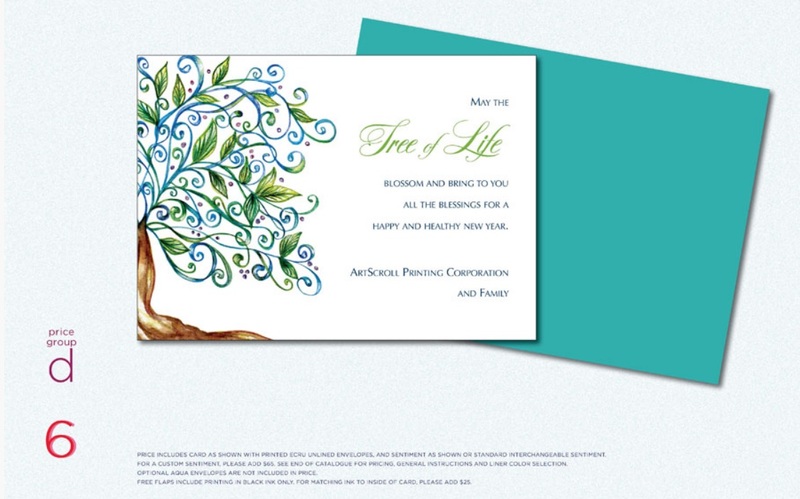 Celebrate the happiness and hope of the New Year with this card's elegant design. Size: 7" x 5"
This Card Sentiment reads: "May the sound of the shofar usher in a joyful year filled with love, health and peace." Description: This beautiful card features the wonderful watercolor art of the talented artist Brenda Swenson. Here, the traditional motif of pomegranates, symbolizing a sweet and plentiful year, are beautifully displayed clinging to the branches. 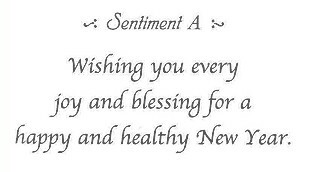 Size: 5" x 7"
This Card Sentiment reads: "Wishing you a sweet and fruitful New Year filled with joy, health and peace." Card Name: "View From The Wall"
Description: During the New Year, we pray for peace in Israel, and throughout the world. 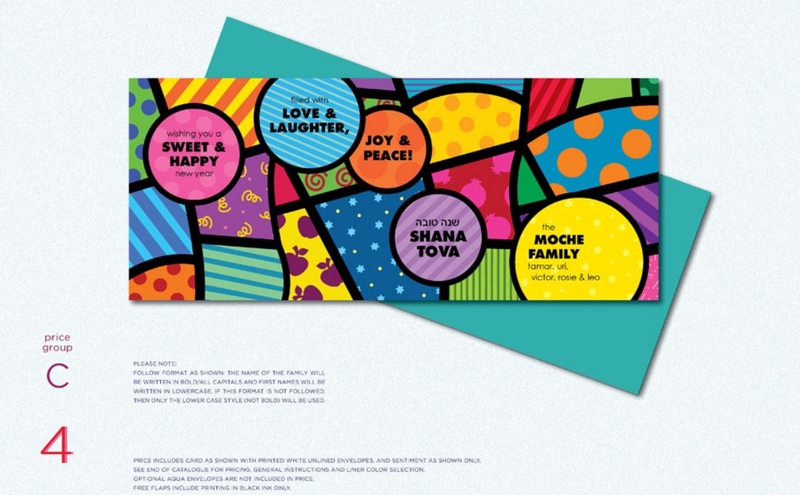 This vibrant card features the beautiful artwork of Israeli artist Neta Levi. Her bright and colorful design evokes a sense of joy and celebration for the upcoming year. The Kotel (Western Wall) can been in the distance behind the beautifully colorful city view of Jerusalem. Size: 7" x 5"
This Card Sentiment reads: "May you and your loved one be inscribed for a year filled with joy, health and peace." Description: The dove has always been one of the most significant and enduring symbols in Judaism. 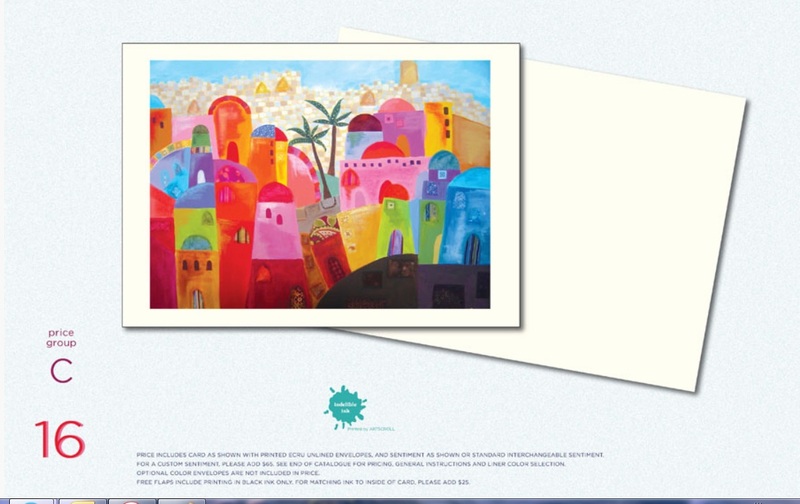 This beautiful card features the wonderful watercolor art of the talented Israeli artist, Asher Kalderon. Here, the traditional motif of the Doves and the vibrant work of art of the artist is symbolizing our hope for happiness and peace "Shalom" in the New Year. Size: 5" x 7"
Description: The artist Karla Gudeon has created this stunning depiction of the Tree of Life, embellished with pomegranate fruits and flowers. This "Tree of Life" symbolizes the Torah's (which is also known as the Tree of Life) enrichment of our lives if we should follow its teachings. Wish all your loved ones a year of plenty with this joyful card. 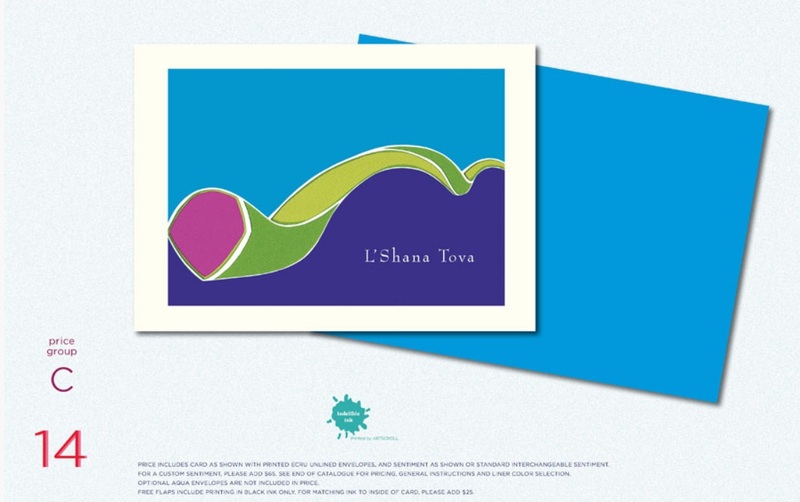 Welcome the New Year with this beautiful and bright design and send your warm Rosh Hashanah wishes to your family and friends with this traditional and symbolic card. 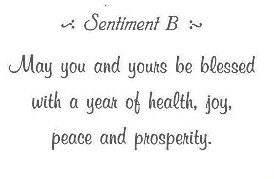 Size: 5" x 7"
This Card Sentiment reads: "Throughout the New Year, may you and your loved ones enjoy an abundance of joy, health and peace." Any of these can be used or interchanged on the above cards. For your own Custom Sentiment, add $75.00 + $18.00 for Proof (required) to the pricing of card. **Note: If you select sentiment as shown and there's an existing Hebrew line verse in the sentiment, the optional Hebrew Line will be added on top of greeting in the font shown below (Kindly Scroll Down). Translates: "May you be inscribed and signed for a Good Year". Reads: "Ktiva U'Chatima Tova"; Translates: "A good inscription and signature". 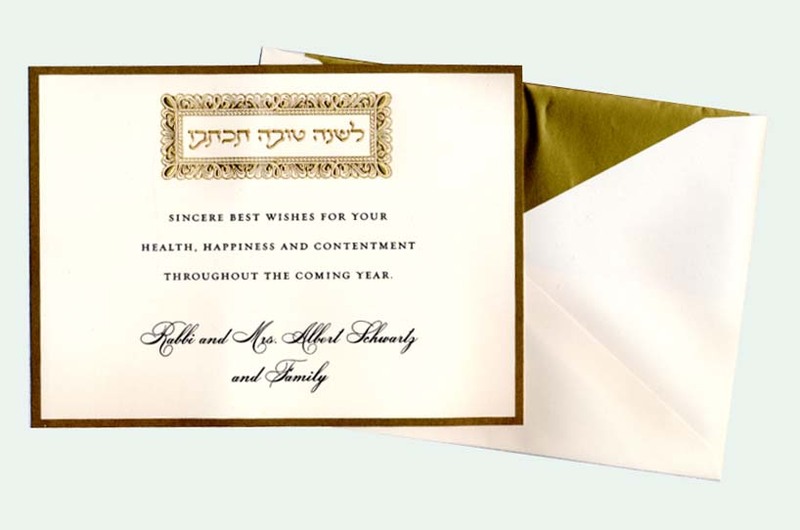 *Note: Customized Hebrew Line on top of Greeting (not one of the two shown above) is an extra charge of $25.00. **Please specify the appropriate # on the order form. Meaning, Symbolism & Rituals click here. Uniquely seal your invitations, announcements, stationery, greeting cards, etc... with custom design peel and stick wax seals, as well as embossers, click here. Click here to view available designs and styles, and then contact us for information. 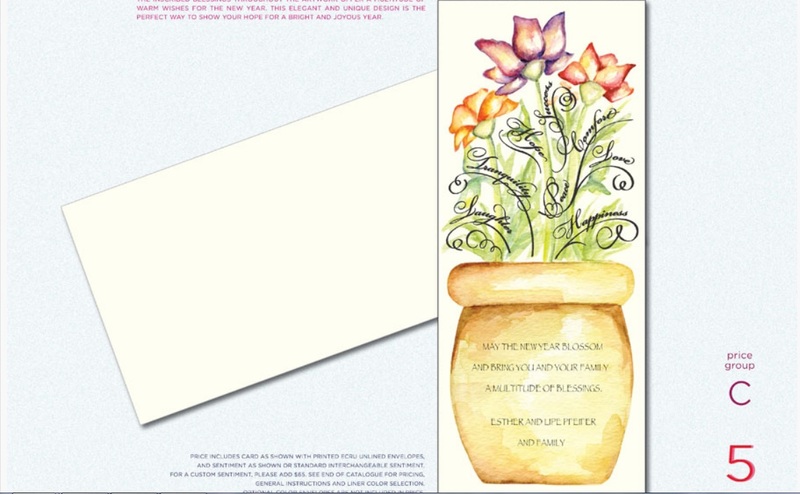 Accessorize your cards and announcements with ribbons, embossers, stamps & seals, click here. Please contact us with any questions or comments that you might have. 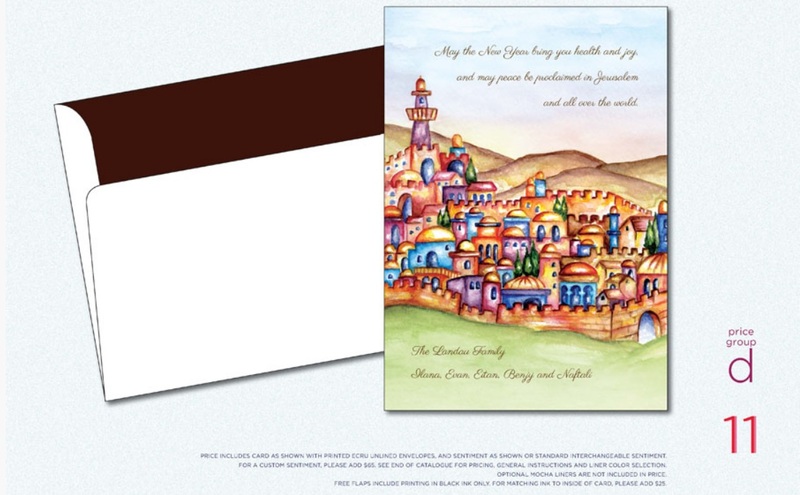 Click on the link below to also view our Regency Rosh Hashanah Cards Custom Catalog directly online. ©Artscroll images are used with permission. 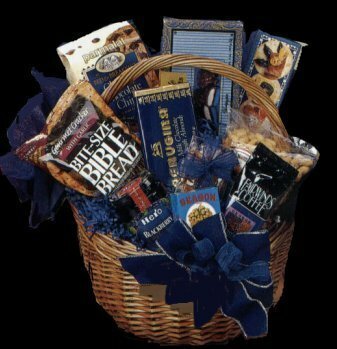 For more Rosh Hashanah Gift ideas, please visit our Gifts Section. *No returns on custom, printed, personalized or special order items. *Prices are subject to change without notice. Copyright © 2000-2013 MazalTovPages.Com, Inc. All Rights Reserved.